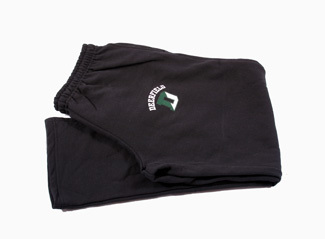 Black open bottom, elastic waist sweatpants with pockets. 9.3 oz 50/50 cotton poly blend. Dodger brand. 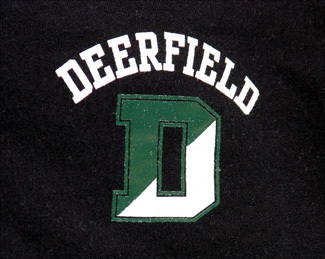 DEERFIELD screen-printed in white above green and white D on left hip. Unisex sizes S-XL.